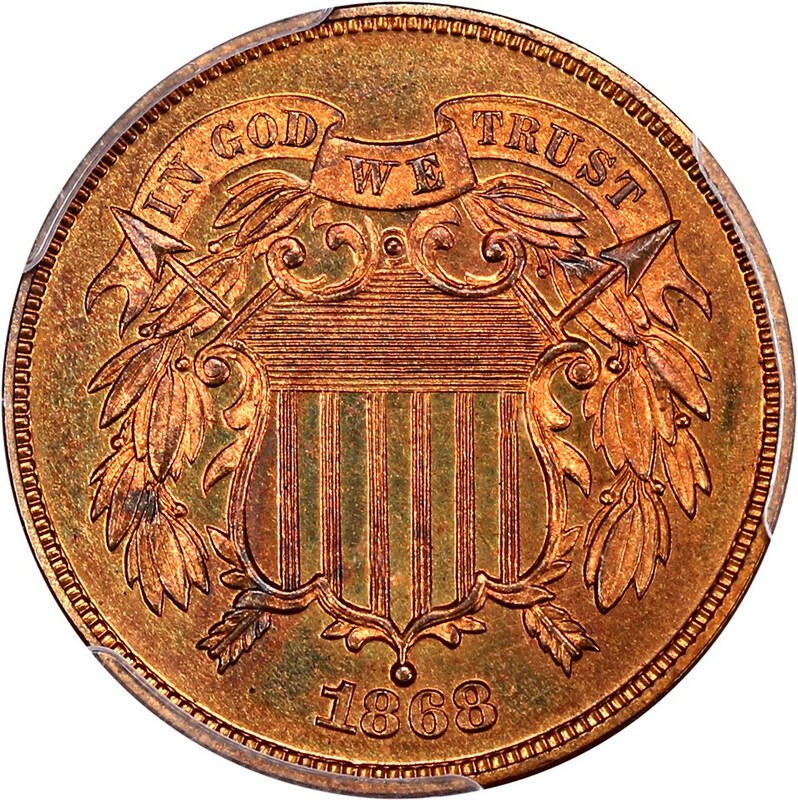 Proof 2 cent pieces are popular among 19th-century type and copper enthusiasts, who also enjoy collecting business-strike 2 cent coins, which were designed James B. Longacre. Ranging in price from the mid hundreds to the many thousands of dollars, proof 2 cent coinage is considerably scarce and especially sought after in the higher grades. A typical proof 2 cent is encountered in Brown grade from PF60 to PF64, with higher-grading pieces and Red-Brown or Red specimens coming along much less frequently. Premiums are paid for nice Red Cameo or Red-Brown Cameo proofs or any specimen with especially nice surfaces and few detractions. The 1864 Small Motto proof is the rarest issue of all in the series, with Professional Coin Grading Service (PCGS) estimating only five in existence across all grades; even the lower-level proof examples trade in the five figures. Only proof specimens were struck in 1873, and these scarce pieces generally start in the four-figure range. All other dates saw mintages in the hundreds of greater and usually range from $300 to $1,000 for typical specimens.